Thanks for stopping by! Today, members of the ODBD Design Team are sharing new inspiration with the products from the October Release. 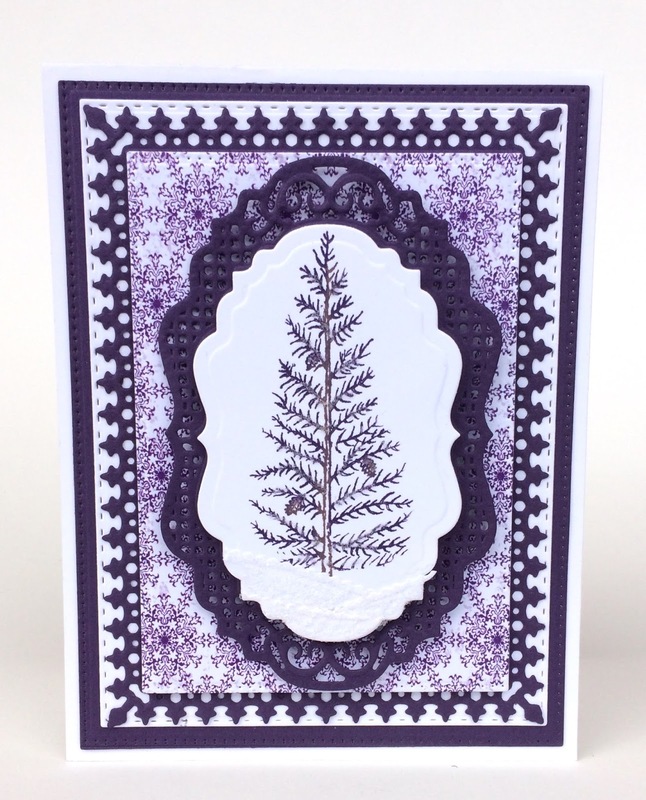 I used the Joys of the Season set from the October Release along with pattern paper from the Christmas Card Collection 2016 and previously released ODBD Dies to create my card (see full supply list below). Keeping with my love for layers, I went with a Clean and Layered look. I placed the Vintage Label die over the rubber so that I knew how far to color with my markers so that the tree wouldn't extend too much into the embossed area of the die cut panel. 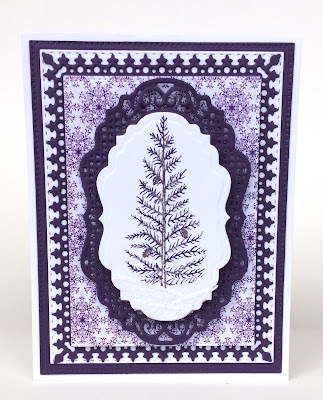 Then I cut the "snow" using one of the dies in the Leafy Edged Borders die set, placed those on my stamped tree, and die cut the entire piece using the Vintage Label Die. To embellish the tree and snow, I added Dry Glitter using a Glue Pen. Have a great weekend! Be sure to stop back tomorrow, as some of the ODBD Designers are sharing projects created with the November Release Products for a special Pre-Order post! I love your colors and framing for your Christmas tree!